Of course, the Zoo Atlanta staff have no doubt planned every step of the pregnancy, and still, nothing could have prepared them for what happened on the delivery day. That’s because, on the evening of July 15, 2013, Lun Lun gave birth to a tiny pink cub. That was followed minutes later by a second cub. Yes, she had delivered twins! It was a huge surprise! During Lun Lun’s scans a single fetus was only visible so they were shocked to see another bundle of joy to come out of her. Although it’s not uncommon for giant pandas to have twins in the wild, the two arrivals took zoo staff completely by surprise, as they hadn’t noticed the second fetus on Lun Lun’s earlier scan. 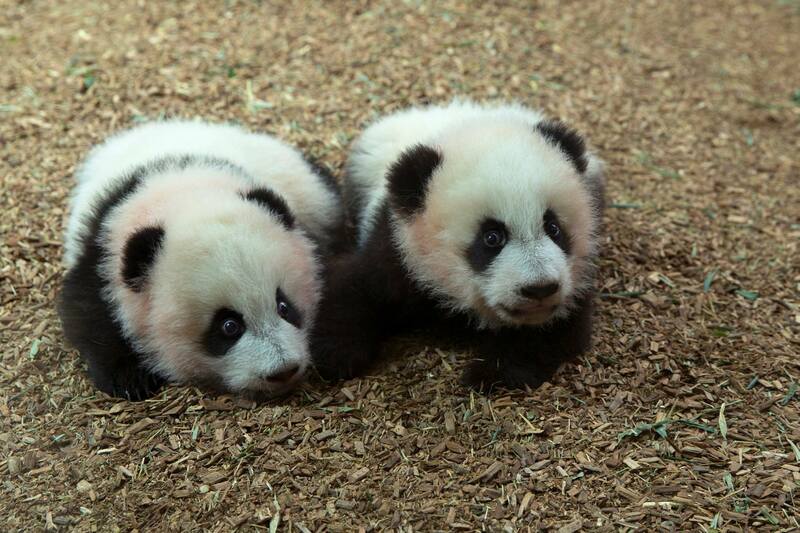 What’s more, the cubs represented the first birth of panda twins in the United States since 1987. In the wild, a mama panda tends to concentrate her efforts on just one cub, almost completely disregarding the other one. Therefore, carers kept a watchful eye on Lun Lun’s behavior and, when necessary, rotated the twins so that both received equal care and attention from their mom without making her too tired. 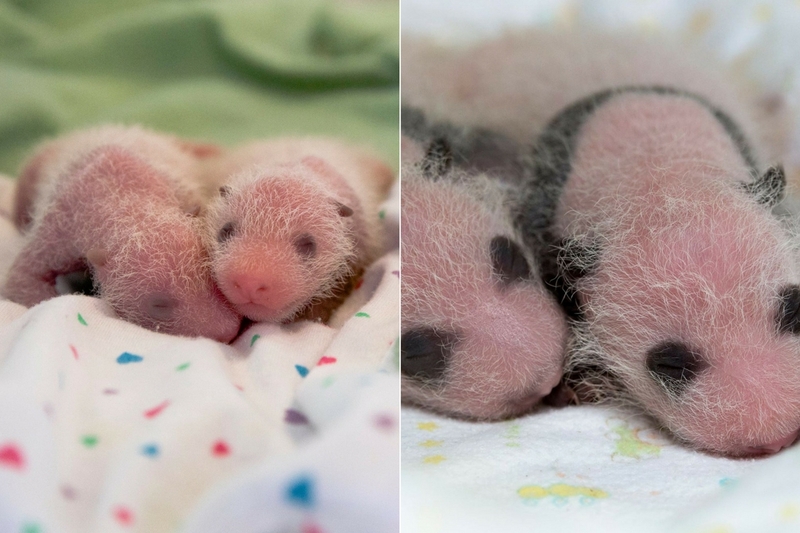 It’s a team effort for the mama panda and carers to watch over these precious little cubs. 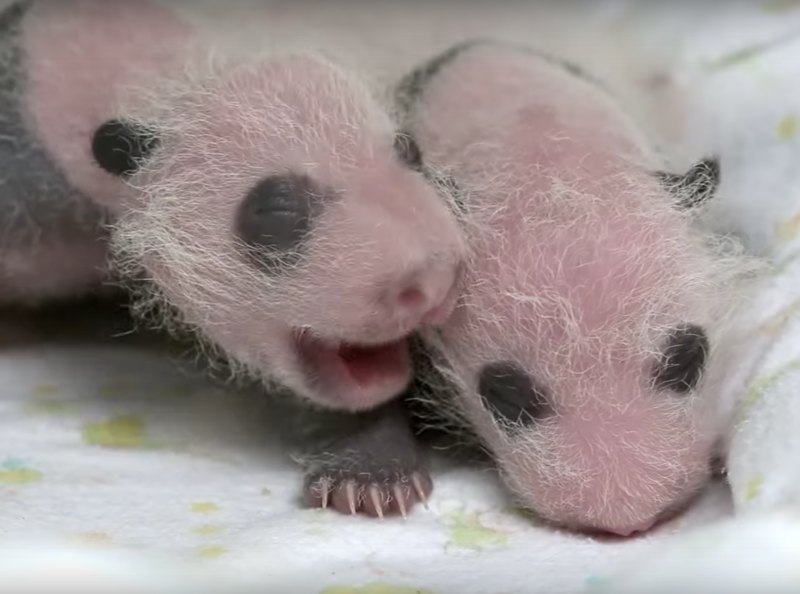 Hopefully, their efforts will pay off since baby pandas are not easy to care for. In addition, due to the baby pandas’ tiny size, there is a risk of mortality in the first few months. And this risk was increased for Lun Lun’s babies, as the twins each weighed less than average for a newborn single cub. Thankfully, the twins got off to a good start and quickly gained weight during their first 100 days. 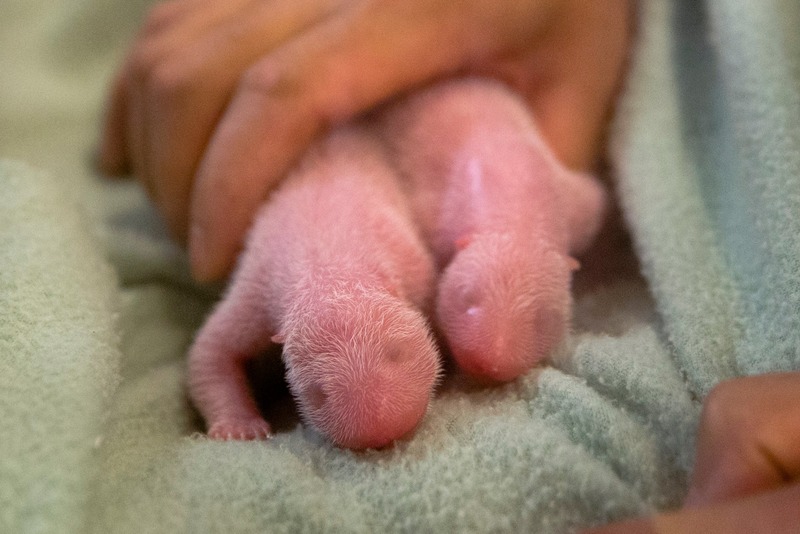 It was also during this time that the tiny balls of black and white fluff, both females, were given the names Mei Lun and Mei Huan. And just like their celebrity parents, a catchy nickname is a must for these rising stars. 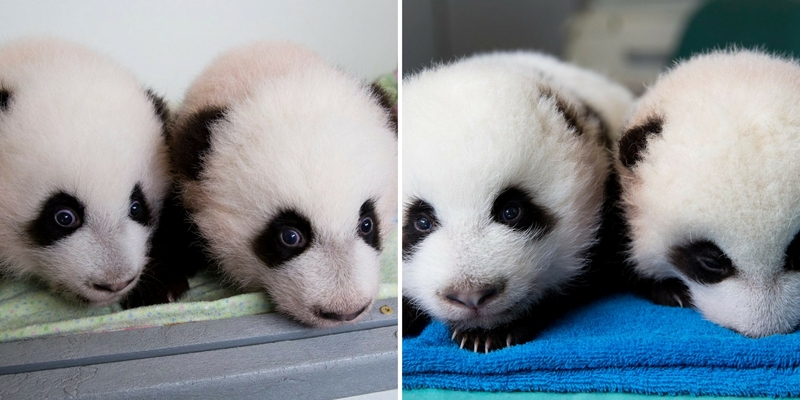 So appropriately the names, Mei Lun meaning “indescribably beautiful,” and Mei Huan Chinese for “magnificent” was given to these future zoo celebrities.